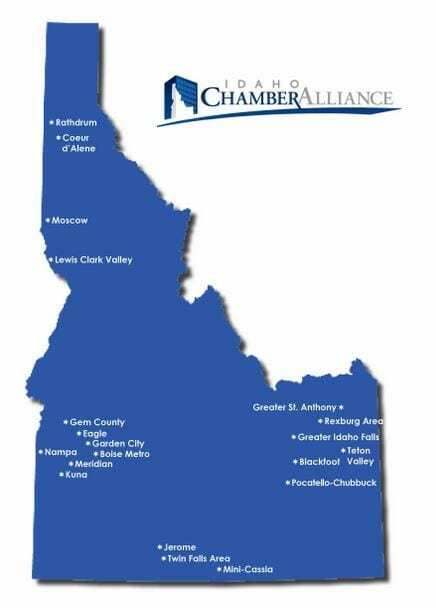 The Idaho Chamber Alliance (ICA) was formed in the fall of 2006 to allow Chambers across the state to speak with a unified voice in the Idaho Legislature. John Watts from Veritas Advisors serves as the organization’s legislative advisor and aids in the annual development of ICA policy positions. These positions are prioritized by Chamber members attending regional summits in the fall. During the legislative session, members of the Alliance participate in a weekly conference call to discuss legislative matters. The Alliance also convenes during Spring and Fall meetings, as well as the annual “Chamber Days at the Legislature” conference in Boise in January. The Alliance provides professional training opportunities for Chamber staff and scholarship opportunities for the Northwest Chamber Leaders Conference, the U.S. Chamber Institute Program, and other appropriate professional development activities. Idaho Chamber Alliance Chamber Days at the Legislature – A two day conference in Boise that includes speakers on state issues and interactions with Idaho’s legislators. 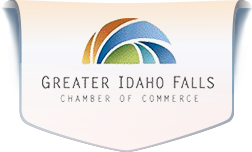 Also during this event, GIFCC hosts our annual Legislative Dinner where Idaho Falls area attendees meet and visit with our local legislators. Idaho Chamber Alliance Regional Legislative Summit – Annual regional event where our Chamber members, legislative committee members and local elected officials discuss public policy priorities for our communities.